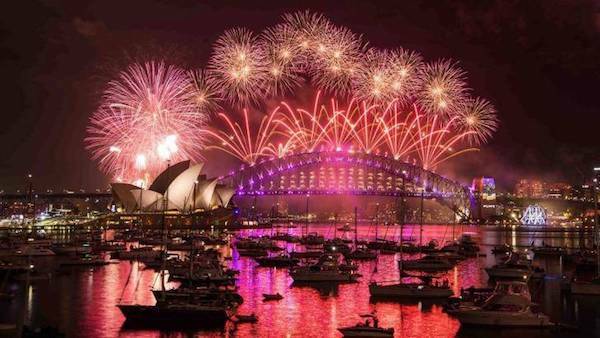 New Years Eve Cruises Sydney - What You Need To Know. So you've made the wise decision to purchase a ticket on a New Years Eve Cruise on Sydney Harbour. I guess the idea of spending New Years Eve day relaxing and then casually making your way to the prearranged meeting point to board your boat, which then takes you in front of the 100,000 revellers cramming the foreshore to get a glimpse of the fireworks show is a good one. 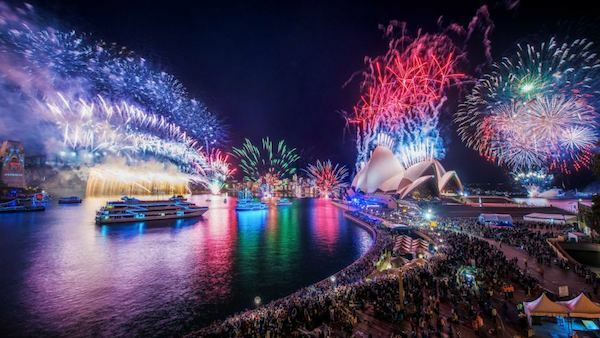 I know I for one will never go back and join the throngs of crazed revellers, especially not now that I have seen how good it is viewing the fireworks and celebrating New Years Eve from the comfort of a cruise ship on Sydney harbour. Common Questions and Misconceptions About Your New Years Eve Cruise. So you don't show up at the dock on New Years Eve with the wrong information relating to your cruise, here are some of the more common questions and customer misconceptions surround New Years Eve Cruises that we come across here at Any Boat. *In terms of showing up with the wrong outfit - Any Boat cannot he held accountable or responsible for this and advise that no amount of reading up on common questions and problems will resolve the issue. Not directly anyway. New Years Eve Cruises Sydney - Frequently Asked Questions. Keep in mind that most of the common questions are specific to each boat and as such you will need to ask the Skipper or crew of that particular vessel what the rules are in each case. You will however be given an itinerary of the evening which should cover most of the information anyway. Is it all you can drink? Again it depends on the boat. Some of the New Years Eve packages cater for the drinks as well, while others supply the basic non alcoholic drinks only. Some of the charter boats are BYO where as some are strictly bar service only. Check the details on your new years eve cruise ticket or if you are still unsure, do not hesitate to contact one of our friendly crew here at Anyboat and we'll find out for you. Most boat owners and skippers will try their best to cater for all allergies and if food is being served will make an effort to provide alternatives where applicable. Of course that being said, it is up to the individual to manage their own allergies and take proper care where and when appropriate. What time does the New Years Eve Cruise Ship leave? The Cruise Ships depart from their prearranged meeting points at times ranging between 6 and 7pm. 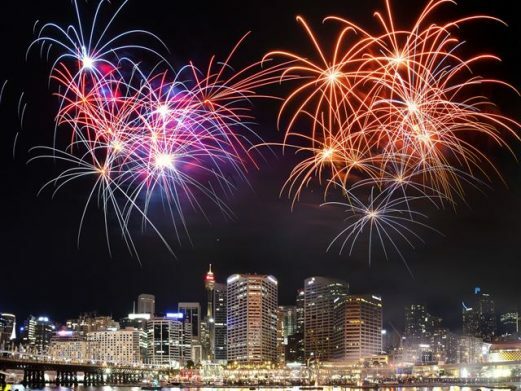 The city of Sydney puts on a fireworks show at 9pm for families and young children and as such all new years eve cruises in Sydney leave early enough so that you can enjoy this fireworks show as well. Where does The New Years Eve Cruise Depart from? The details of where and when to meet will be on your ticket, but since all new years eve cruise ships are based in and around Sydney Harbour, I can almost guarantee you will be departing from a CBD location, probably Circular Quay or Darling Harbour. Can I bring personal items like cameras? Of course!! In fact we encourage the taking of photos and the sharing of experiences! Please not that while all care is taken, Any boat and her affiliated vessels cannot accept any responsibility for items damaged or missing during the cruise. Can I Just Buy 1 Ticket or Do I Need to Bring Friends? Tell your friends to get stuffed and enjoy an amazing New Years Eve meeting new people and enjoying the fireworks show from the best seat in the house. Hope that answers your question :) - because not only is it perfectly OK to buy just the one ticket, here at Anyboat we actually encourage it! What better way to spend New years than on a cruise ship on Sydney harbour, meeting and mingling with new people and having an entirely new experience that it turned out money could buy. Speaking of what money can buy - check out the range of Charter boats available for hire on new years eve. With private yachts for hire and individual tickets from as low as $300 there are New Years Eve Cruises to suit all tastes and budgets.